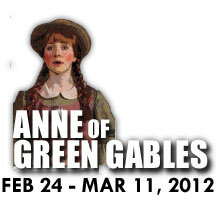 please call the Box Office at 505-242-4750, ext. 2. This new dramatization captures the charm and excitement of L.M. Montgomery’s enduring classic about an orphan girl, Anne Shirley, from her first encounter with her austere Guardian to her thrilling graduation from Queen’s Academy. All the tragedies and triumphs that mark Anne’s grown from adolescence to early adulthood are here. Whether your students are “old friends” of Anne’s or meeting her for the first time, this play will crate a lasting friendship between them and one of literature’s most unforgettable characters. ← Congrats to the cast of XANADU!